I thought this movie was going to be Mamma Mia! Here We Go Again…Off a Cliff. But to my relief, this sequel to the 2008 movie musical is not a complete train wreck. This sequel takes us back to a sunny Greek island like the first film where we simultaneously see Meryl Streep’s character as a young woman in the 1970s, and her daughter in the present day, both navigate the excitement and pressures of adulthood. So, of course, viewers can expect the hit songs from the previous film. 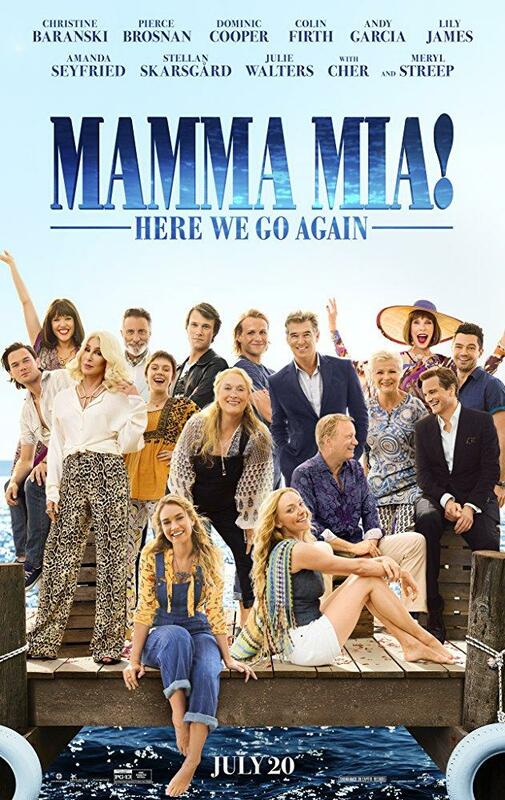 Dancing Queen, Super Trooper, and Mamma Mia are all included in this film as well as other ABBA songs not in the initial film like Fernando, One of Us, and Knowing Me Knowing You. The film felt mostly like a musical review with a few moments of acting thrown in to help move the story along. So as a movie, it’s not great. Its perfectly romantic and desperately cheerful vibe comes off as silly. But as a concert of feel-good, fluffy hits, it’s wonderful. If you enjoy ABBA music, you’ll love it. But if you’re expecting more than that, it’s going to be disappointing.